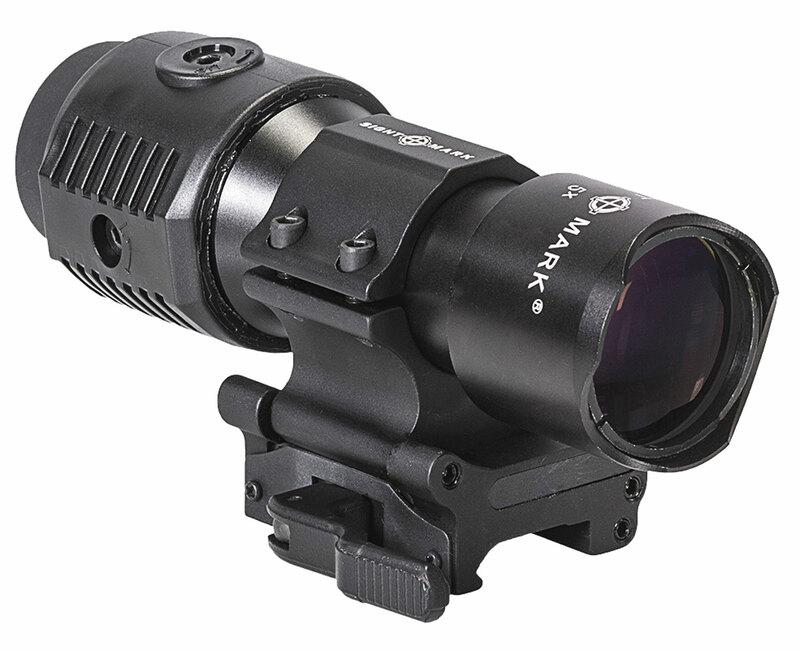 The 5x Tactical Magnifier increases the magnification of the accompanying sight for greater sighting range and improves target recognition significantly at medium-range and long-range distances. Engineered to assist in quick target acquisition up to 350 yards and accurate target shooting at 150 yards, the 5x Tactical Magnifier also features extended eye relief for comfort, a wide field-of-view and high quality multi-coated optics for improved visibility and clarity. Designed to work with EOTech, Aimpoint, Trijicon, and other brands, the 5x Tactical Magnifier can be securely mounted on most picatinny and weaver mounts. Its lightweight, weather proof and shatter-proof frame provides durability in all elements.